Our NEW HempFX™ products are unlike any other hemp-based products on the market. Each formula was developed using organically-grown hemp, Youngevity proprietary formulas, and patent-pending technology to deliver the best hemp-derived cannabinoid oil products to you. Hemp is a significant resource that dates back more than 10,000 years. It is nutrient rich and used in a variety of applications, from paper, fiber, food, and skin care. The ancient use of hemp has been traced to many countries including China, Egypt, Russia, Greece, and Italy. 8,000 BC: Hemp cloth was used in Ancient Mesopotamia. 2,800 BC: Chinese hemp was cultivated for fiber. In 1619, it was illegal not to grow hemp in Virginia because it was such a valuable crop. In 1653, Nicholas Culpepper listed a variety of medical uses of cannabis sativa, including anti-inflammatory, analgesic, and anti-parasitic treatment. Today, hemp is used in over 25,000 products. Hemp is an industrial product used in a variety of fields, from skin care to construction. With no psychoactive implications, there is no “high” as there is with marijuana plants because it doesn’t contain THC. Hemp plants are rich in cannabinoids, which carry amazing benefits to which our bodies respond well. It also has a variety of terpenes that have aromatic and physiological effects. Originating in Central Asia, this plant has been involved in mankind’s medicine and fiber applications since the beginning of time. More than 540 phytochemicals come from hemp, and their properties can help people with pain, inflammation, sleep, and mood disorders. This multi-purpose crop is harvested specifically to the desired use. 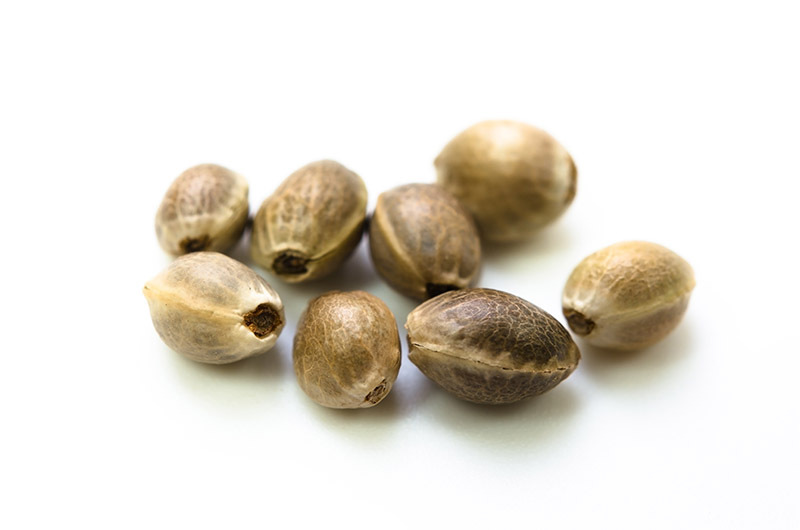 Hemp describes a cannabis sativa plant with trace to no amount of THC while marijuana is a cannabis sativa plant harvested for its trichomes, which have high amounts of THC. Cannabidiol (CBD) is a chemical compounds from the cannabis plant, known as cannabinoids, with significant medical benefits and no psychoactive effect. What are the health benefits of hemp-derived cannabinoid oil? It helps support the relief of muscles and joints by enhancing a healthy immune response and reducing free radical stress in these areas. Hemp-derived cannabinoid oil also eases the mind and body to promote deep and restful sleep and can naturally boost your cognitive performance, providing sharpness and clarity to enhance your outlook. It works by naturally triggering your body’s endocannabinoid system to desensitize pain and stress receptors, combat free radicals, and support circulation. It also interacts with your body’s hormones, such as serotonin, to bring positivity to your mood and mind. Is hemp-derived cannabinoid oil legal? Hemp-derived cannabinoid oil is legal in most U.S. states. What is the difference between THC and cannabinoids? Tetrahydrocannabinol (THC) and cannabidiol are two types of cannabinoids found in cannabis sativa plants that interact with the body’s receptors. THC is the psychoactive component responsible for giving people the “high” or euphoric feeling associated with consumption and has medicinal qualities. Cannabidiol, as well as other cannabinoids, however, have no psychoactive component and are found primarily in extractions from the hemp plant. These components can be used in a variety of therapeutic applications. Please refer to the product instructions for proper dosage information. Where does HempFX™ source its hemp-derived cannabinoid oil? We source our hemp-derived cannabinoid oil in Colorado at registered industrial farms tested by the Colorado State Department of Agriculture for state and federal regulation compliance. Oh, this is the good stuff! 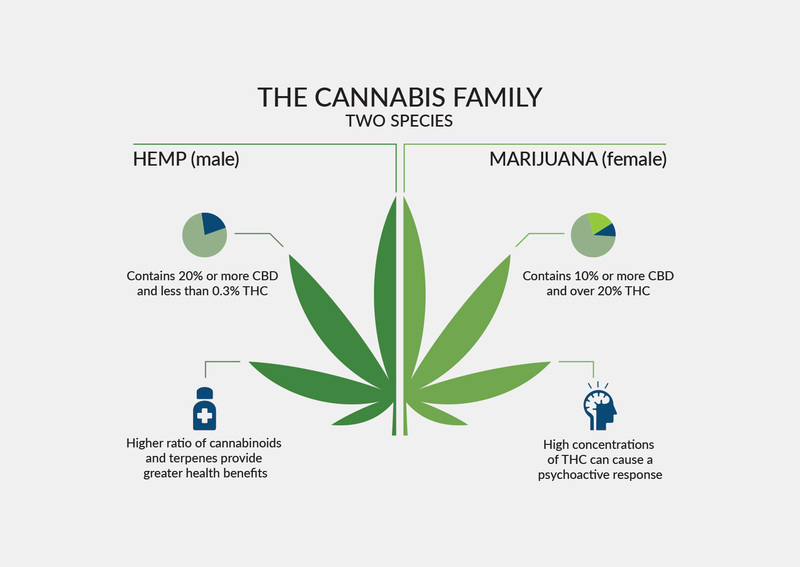 It is a biological system composed of three main components: cannabinoid receptors which communicate and respond to the body’s conditions, endocannabinoids, which are molecules that activate cannabinoid receptors, and metabolic enzymes that break down endocannabinoids after they are used. The ECS is responsible for homeostasis and keeping our body and brain balanced. This is the biological system that enables our bodies to absorb cannabinoids and derive certain health benefits. Does it show up on a drug test? Most drug tests look to find traces of THC, not other cannabinoids. Since our hemp-derived CBD oil does not have THC, you have nothing to worry about. Is it safe for all ages? What about animals? Because hemp-derived cannabinoid oil is non-psychoactive, it does not cause cognitive impairments. So far, CBD has proven to be safe for children and people of all ages. For the same reasons, CBD is considered safe for pets, however, check with your veterinarian about the safety of other additives in hemp-derived CBD products. Cannabinoid receptors are found throughout the body in the endocannabinoid system. These receptors help to maintain a sense of homeostasis in the body. Cannabinoids interact with these receptors located in the brain, spinal cord, nervous system and immune system of mammals. These positive interactions help to support the natural pathways of the body needed for optimal health. We understand that not all plants are created equal, so our proprietary hybrid hemp plants are grown in the best conditions. Our proprietary hemp plant is naturally low in THC. Our patent pending extraction process then completely removes THC to zero percent. There are absolutely no psychoactive effects associated with our products. They are completely safe and legal. Our hemp is derived from a unique medicinal hemp variety – providing a higher level of effectiveness. There is oversight and quality control through every step of the farming and processing cycle. Our extraction process has 2 patents pending resulting in a final product that contains no trace of solvents, heavy metals, pesticides, or foreign materials. Our non-GMO organically grown hemp plants are cultivated in U.S. soil. Our outdoor grown strain of hemp has extremely high levels of Cannabidiol for ultimate health benefits. Transportation time is cut to ensure optimal freshness and quality because the farm is located next to the processing facility. 90 For Life has always been about giving your body the comprehensive nutrients it needs for optimal performance. We believe in plant-based nutrition and after years of research, have found a way to do safety and consistency through hemp. We understand that hemp works with your body and have extracted the essential compounds that interact with a variety of ailments and conditions. Add hemp oil to your wellness regime. Curcumin is the active ingredient in the bright yellow spice turmeric. Turmeric is a common ingredient in Asian cuisines (you may have had it in yellow curry), as well as being a staple of Ayurvedic medicine. (Turmeric is also used as a natural yellow dye, so be careful with any curcumin supplements. They can definitely stain.) Thousands of studies have shown curcumin’s ability to fight bacteria, viruses, depression, inflammation, and chronic diseases;including arthritis. Curcumin’s greatest benefit is its inflammation-fighting properties. The importance of this cannot be understated because inflammation is the root of nearly all diseases. By reducing and reversing inflammation, your body is healthier and less disease prone. Curcumin Reduces Pain and Inflammation. When it comes to arthritis, curcumin has been shown to decrease pain and inflammation associated with the disease. The research is strong and convincing. One study looked at how patients with osteoarthritis of the knee fared after eight weeks of curcumin treatment. Fifty participants with moderate to severe arthritis took either placebo or a special curcumin formulation called Theracurmin (containing 180 mg of curcumin) every day for eight weeks. Their symptoms were evaluated every two weeks. After eight weeks, knee pain scores were significantly lower for most in the curcumin group vs. the placebo. The curcumin group also had lower dependence on pain medication than those in the placebo group. Even better—no side effects were noted, a rarity for conventional pain meds. Another published paper—a systematic review and meta-analysis of eight clinical trials—looked at curcumin/turmeric treatment for osteoarthritis. Overall, the pain scores in the curcumin groups were much lower than those in the placebos. There was also little difference in pain relief between commercially available pain medicines and curcumin. This suggests that curcumin may have similar benefits as drugs, but without the short- and long-term side effects. This same paper also concluded that curcumin could prevent the loss of chondrocytes—cells found in healthy cartilage. In addition, curcumin suppresses the release of inflammatory compounds that cause the chondrocytes to die off in the first place. Earlier research, this time on rheumatoid arthritis, discovered that turmeric “profoundly inhibited joint inflammation and periarticular joint destruction.” It also prevented the activation of genes associated with joint inflammation and damage. Research shows that 500 mg, twice a day (and up to four times a day) is the dosage most helpful for treating osteoarthritis, as well as many other conditions associated with inflammation, such as cardiovascular disease and rheumatoid arthritis. Unfortunately, curcumin is difficult for the human body to absorb and maintain. Look for curcumin formulations with enhanced absorption properties like Cavamax® V8. Some common methods to enhance curcumin absorption are with the addition of piperine, a derivative of black pepper, or through combining the curcumin with a fat preparation which helps your body hold on to the curcumin longer. Nakagawa Y, et al. Short-term effects of highly-bioavailable curcumin for treating knee osteoarthritis: a randomized, double-blind, placebo-controlled prospective study. J Orthop Sci. 2014 Nov;19(6):933-9. Accessed 25 September 2017. Daily JW, et al. Efficacy of Turmeric Extracts and Curcumin for Alleviating the Symptoms of Joint Arthritis: A Systematic Review and Meta-Analysis of Randomized Clinical Trials. J Med Food. 2016 Aug;19(8):717-29. Accessed 25 September 2017. Chin KY. The spice for joint inflammation: anti-inflammatory role of curcumin in treating osteoarthritis. Drug Des Devel Ther. 2016 Sep 20;10:3029-42. Accessed 25 September 2017. During the month of February, we’ve mostly discussed cardiovascular health for Heart Disease Awareness Month and thus we’ve touched on the benefits of incorporating Omega-3 in ones diet to promote cardiovascular health. However, more and more we are finding that consuming Omega-3 can benefit more than just the heart. Omega-3 has been known to also help with joint health, inflammation, mental, and prenatal health. An article on Nutraingredients that talked about a study conducted on pregnant women who were given prenatal supplementation with the omega-3 fatty acid DHA. Although many studies have already found that consuming DHA during pregnancy can help with visual and neurological development in infants, this study found that DHA also has great benefits on the overall health of the pregnancy. Specifically, the study which was led by Professor Susan Carlson from the University of Kansas, found that mothers given 600 milligrams of DHA throughout the pregnancy had babies who were less likely to be low birth weight and/or born before 34 weeks of gestation.1 Delivering a healthy baby at full term has many benefits not only for the child but also the entire family, which can mean less delivery complications and shorter hospital stays. What’s really great about this specific study is that it will follow the infants whose mothers were taking the prenatal DHA supplementation through their early childhood in order to truly determine the overall benefits of DHA on a child’s neurological development and general health. The mothers and infants who were given the DHA supplementation will continue to be assessed at regular intervals until the children are 6yrs old. Since previous studies have already determined that omega-3 helps with a newborns cognitive and intellectual development, this study could truly demonstrate the benefits of omega-3 on a child’s intelligence over the long run. This study goes to show that it’s never too early to start thinking about the health of your children. Also, that continued consumption of vitamins, minerals, and essential fatty acids is vital to our health. To start getting your dose of essential fatty acids, such as Omega-3, try Ultimate Multi-EFA, a new, smaller and easy to swallow capsule ideal for children. Remember it’s never too early to start a journey to optimal health! There are blackcurrants and then there is the New Zealand blackcurrant. I’m sure by now many of us have heard the buzz around blackcurrants and their high levels antioxidants which come from anthocyanins, flavonoics, and polyphenols, which are found in New Zealand blackcurrants. The antioxidant level found in New Zealand blackcurrants is higher than any other commercially available berries, fruits, and vegetables, with more vitamin C than the average orange. What makes New Zealand superior in the blackcurrant farming kingdom than say Europe or Asia? Some may argue that it’s the soil, while others may say that it’s the weather, or perhaps it’s the combination, whatever the reason is, blackcurrants thrive in New Zealand. Currently, New Zealand produces approximately 12,000 tons of blackcurrants annually.1 Additionally, New Zealand blackcurrants contain higher levels of anthocyanins than those produced by other countries; anthoycyanins have been known to contain anti-inflammatory and anti-aging properties. There is a great article on Nutraingredients.com, “Kiwi blackcurrants can reduce mental fatigue,” that talked about a study which was conducted by Plant & Food Research showing that an extract of New Zealand blackcurrants high in anthocyanins can help reduce stress. In this specific study, New Zealand blackcurrants were shown to help people stay more alert, reduce mental fatigue and work with greater accuracy while under significant mental stress.2 Participants were asked to watch a series of random numbers and respond when three consecutive odd numbers appeared and it was found that compared to the placebo, taking the enriched blackcurrant extracts helped participants with accuracy and significantly decreased mental fatigue. Helping with stress and mental alertness is just one of many benefits of consuming New Zealand blackcurrant extracts and supplements. Previous research conducted by Plant & Food has also found New Zealand blackcurrants to have many other health benefits such as supporting immune response and reducing muscle fatigue and damage. The health benefits of the New Zealand blackcurrant are many. Try getting your dose of blackcurrants with Pollen Burst Plus. Get your dose of antioxidants! Remember prevention is the key! San Diego, CA – January 25, 2013 – Youngevity® Essential Life Sciences, a wholly-owned subsidiary of AL International, Inc. (OTC Pink: JCOF), a fast growing, innovative, global direct marketer of healthy lifestyle and nutritional products and gourmet fortified coffee, announced today the exciting results of a series of clinical research studies performed by Clemson University – Institute of Nutraceutical Research (“INR”). The INR is a national leader in nutritional research and one of the most highly regarded organizations in the field of phytonutrients, vitamins and minerals. The goals of the INR are to develop greater confidence in product quality, effectiveness, and enhance consumer demand for quality nutraceutical products. The clinical studies were performed to identify the potential benefits of Youngevity’s signature core products, Beyond Tangy Tangerine® and Ultimate Classic®. Youngevity’s mission was to truly understand and clinically substantiate the health promoting benefits of these two products. Individually, each product targets specific areas, needs, and nutritional deficiencies of the body. Multiple studies were recommended by Clemson University scientists to provide a comprehensive evaluation of the Youngevity® products. Specific biomarkers were chosen to study in the areas of safety, inflammation, and when Beyond Tangy Tangerine® and Ultimate Classic® were administered to cancer cell cultures. • Dietary supplement safety is the most highly regarded aspect of any of the Youngevity® various products and has become synonymous with the Youngevity® name and brand. Although Youngevity® only uses nutrients that are absolutely needed by the body and in forms that are highly bioavailable, Youngevity® felt it was important to show empirically the range and degree of safety through looking at (3) factors – * Genotoxicity, Anti-Genotoxicity, and ** Anti- Mutagenicity. The results of the experiments showed that Beyond Tangy Tangerine® and Ultimate Classic® at various concentrations did not show any genotoxicity. • When Beyond Tangy Tangerine® and Ultimate Classic® were administered to healthy human cell lines; they did not induce or create any inflammatory response in levels above and below the recommended dosage. Beyond Tangy Tangerine® and Ultimate Classic® showed inflammation protective properties and heightened the body’s protective responses to possible inflammation. • When Beyond Tangy Tangerine® and Ultimate Classic® were administered to healthy human colon cells; there was no significant death of healthy human cells compared to cancerous colon cells. Ultimate Classic® killed 95% of cancerous colon cells, 65% of cancerous liver cells, 65% of cancerous stomach cells, and 30% of cancerous breast cells. Beyond Tangy Tangerine® killed 60% of cancerous colon cells, 65% of cancerous liver and stomach cells, and 30% of cancerous breast cells. • Beyond Tangy Tangerine® and Ultimate Classic® both exhibited efficient inhibition on proliferation of cancerous cells at the recommended dosage levels. Both products showed there was inhibition of the growth of more cancerous cells, preventing further malignant multiplication and growth of unhealthy cells. The Clemson University studies have provided Youngevity® greater confidence in their products, scientist, formulators, and manufacturing processes and helped to understand some of the pathways the Youngevity® products may be working through in order to provide these benefits. * genotoxic damaging to DNA: pertaining to agents known to damage DNA, thereby causing mutations, which can result in cancer. ** mutagen an agent, such as a chemical, ultraviolet light, or a radioactive element, that can induce or increase the frequency of mutation in an organism. For a the complete comprehensive report click here. Dr. Wallach Answers Specific Health Questions in the following short audio clips. Click on the subject to listen. Use Your Back Button to Return to this Page. These are just a few of the Health Packs that Address Specific Health Issues. This CD by Dr. Wallach, “Medical Dogmas & Lies” was taken from a lecture given before a live audience. While similar to “Dead Doctors Don’t Lie”, some of the content contains information drawn from more recent studies on various health issues but particularly on cancer (track #7). Here are just a few examples of over 900 diseases that can result from nutritional deficiencies. Let’s get back to the sweet roll. That innocent looking goody not only contains sugars, it is baked in one of many omega-6 oils such as soybean. Chips and fries are soaked in soybean oil; processed foods are manufactured with omega-6 oils for longer shelf life. While omega-6’s are essential – they are part of every cell membrane controlling what goes in and out of the cell — they must be in the correct balance with omega-3’s. There is but one answer to quieting inflammation, and that is returning to foods closer to their natural state. To build muscle, eat more protein. Choose carbohydrates that are very complex such as colorful fruits and vegetables. Cut down on or eliminate inflammation causing omega-6 fats like corn and soybean oil and the processed foods that are made from them. The DVM’s proactive (prevention) approach to health care vs. the MD’s reactive (treatment) approach to health care. Are supplements safe? When you see minerals like arsenic, lead, aluminum, listed in the Youngevity products does it make you wonder? Listen to what Dr. Wallach has to say. Also; for a better understanding of why plant derived minerals are safe and metallic/elemental minerals are not go to Plant Derived Minerals. Pet Foods Contain More Nutrients than Our Infant Formulas – Dog Food has 40 Minerals, Rat Pellets have 28 and Baby Formula…. only 12! None of our Baby Formulas on the market have lithium, vanadium, or chromium and only two have selenium. I you breast feed take minerals. If you use a mother’s milk replacement infant formula, supplement it with additional minerals at (1) ts. per 20 lbs of body weight. There are 90 Essential Nutrients required for optimal health and longevity. All Youngevity products are formulated and designed with that in mind. Our products are packed with the finest plant derived minerals available. There are always imitations vying for your attention but when it comes to your health don’t accept any imitations. There are no quick-fixes, no silver bullets, and no shortcuts. This is not intended to be an all-inclusive list of the missing essential nutrients. There are many other nutrients that are required to help in the absorption and utilization of these vitamins and minerals. It is intended as a reference of the primary missing nutrients only. Pain… The Early Warning Sign of Nutrient Deficiencies. Dr. Wallach points highlites the importance of minerals in the Athletes diet. In this interview Dr. Joel Wallach talks about why an athlete has, on average, a shorter life span than your average couch potato. In this interview Dr. Joel Wallach talks about a number of diseases he says are actually caused by physicians. He also talks about how the cures for these diseases are relatively simple. In this interview Dr. Joel Wallach says that there are many cures for diseases and conditions available, but they’re not available. Dr. Wallach illustrates why this is and what needs to happen to allow certain cures to become mainstream. Dr. Wallach discusses the cause and treatment of Fibromyalgia. Dr. Wallach discusses Allergies and Asthma. What contributes to asthma and allergies? Dr. Wallach discusses Asthma and other allergies. How to prevent birth defects. What is adequate prenatal nutrition? Dr. Wallach discusses the importance of supplementation as it relates to Pregnancy and Birth Defects. How is the lack of copper associated with aneurysms? Dr. Wallach explains the relationship of Copper and Aneurysms and how simple it is to prevent the deadly occurence of an aneurysm. What About Cholesterol and Heart Disease? Hear what Dr. Wallach has to say about Cholesterol and Heart Disease. High Blood Pressure – is Salt Really the Culprit? Hear what Dr. Wallach has to say about Salt and High Blood Pressure. SAN DIEGO, Jan 4. 2012 /PRNewswire/ — Youngevity® Essential Life Sciences (www.youngevity.com), a wholly-owned subsidiary of AL International (www.alintjcof.com) (JCOF-PK) and direct seller of lifestyle and nutritional products and gourmet healthy coffee, proudly announced that its founder, Dr. Joel D. Wallach, BS, DVM, ND is the 2011 recipient of the Klaus Schwarz Commemorative Medal. This prestigious award, sponsored by the International Association of Bioinorganic Scientists, Inc. (IABS), recognizes the work of pioneers in the field of trace element research and is named after Klaus Schwarz (1914-1978), a leading trace element researcher best known for his discovery of the essentiality of selenium. The IABS cited Wallach’s groundbreaking discovery of an animal model of cystic fibrosis, a disease that affects 70,000 people worldwide. In 1978, as a researcher at the Emory University Yerkes National Primate Center in Atlanta, Georgia, Wallach observed pancreatic lesions that were identical to those observed in human patients in the offspring of inadequately-fed rhesus monkeys. This suggested that cystic fibrosis—at the time believed to be a genetic disorder of humans only—could also be the result of selenium deficiency, and that some forms of cystic fibrosis might be preventable. Selenium is an essential trace mineral that serves many functions in human physiology, including the synthesis of antioxidants (natural substances that neutralize free radical damage), and thyroid and immune function. It cannot be made by the human body but instead must be obtained through diet. Sources of selenium include nuts, cereals, meat, mushrooms, fish, eggs, and dietary supplements. A detailed article on this year’s award was published in the December 2011 edition of the peer-reviewed scientific journal Biological Trace Element Research. A common recommendation made by most medical doctors is that in order to get all the nutrients necessary to maintain health you must, on a daily basis, eat food from each of the four basic food groups (i.e., meats and proteins, fruits and vegetables, breads and grains and dairy products). Dr. Joel Wallach challenges this belief when lecturing on health and highlights the reasons why it is practically impossible to get all the nutrients (especially the minerals) necessary to prevent disease by eating food from the four basic food groups. Dr. Wallach argues that an unfortunate consequence of the American public’s faith in the four basic food groups has been a huge increase in the incidence of chronic degenerative diseases such as arthritis, cancer, diabetes, heart disease, etc. over the past 40 years. There are 90 nutrients essential to human health. A deficiency in any one of these nutrients can lead to or cause, on average ten diseases. For example, a deficiency in copper can lead to premature gray hair, aneurism and stroke. The 90 essential nutrients fall into four broad categories: amino acids; fatty acids; vitamins; and minerals. If you eat a disciplined, well rounded diet you can get all the amino acids, fatty acids and vitamins you need. It is practically impossible to get all of the minerals you need regardless of what kind or what quantity of food you eat. Human beings ideally get minerals by eating foods such as vegetables, fruits and grains. However, such foods are grown in soils which are massively deficient in minerals, a fact which is documented by the findings reported at the 1993 World Eco Summit in Rio De Janeiro. Minerals serve as catalysts for the body’s ability to use amino acids, fatty acids and vitamins. Therefore, without the necessary mineral co-factors it is unlikely that we are getting the maximum benefit from these nutrients. Metallic minerals – These minerals are similar to the kind found in rocks and soils and are only 8% to 12% absorb-able. They can build to dangerous levels, accumulating in fat, liver and brain tissue. Most tablet-form minerals such as Centrum, Theragram and One-A-Day are of this type. A metallic mineral is not organic in nature. Consequently, the body has a very difficult time absorbing it, and eliminating what it can’t absorb. Chelated minerals – These are metallic minerals which have been bound to a carrying agent (usually an amino acid or enzyme) which assists in the absorption of the mineral in the small intestine. This method, patented in the 1970’s, makes metallic minerals much more absorb-able (35 to 45%) and much less potentially toxic to the body. Organic Colloidal Minerals – These minerals have been processed through a plant and have undergone a biochemical transformation which makes them extremely absorb-able (90% to 98%) and non toxic. Specifically, when a mineral is drawn from the soil into a plant via its roots, the process alters the mineral’s bio-electric charge, changing it from positive to negative. Because the linings of our intestines carry an overall positive charge a natural magnetic gradient is created across which the mineral is absorbed directly into the bloodstream. Metallic minerals, on the other hand, do not undergo this biochemical transformation and therefore remain positively charged. A positively charged metallic mineral can cause problems for the body. The body is designed to recognize and use minerals in a organic colloidal form and will automatically rid itself of any excess. By contrast, the body has more difficulty recognizing positively charged minerals. As a consequence they tend to accumulate in the body to sometimes dangerous levels. This is why metallic arsenic, for example, has been found to be 65 times more toxic than is organically bound arsenic. Buyer Beware: Don’t be fooled into buying mineral supplements that simply claim to be “colloidal.” The term “colloidal” refers only to the very small particle size of the minerals used in these products. A far more important determinant of both the absorb-ability and safety of a mineral is whether or not the mineral is “organic” (i.e., derived from plant sources). Organic colloidal minerals are up to 20 times more absorb-able and non-toxic when compared to inorganic colloidal minerals. It is a sad fact of the marketplace that many of the products being marketed as colloidal minerals are, in fact, inorganic colloidal minerals! There are over 100 million copies of Dr. Wallach’s Dead Doctor Don’t Lie tapes and CDs presently in circulation worldwide. We’re including a copy of “The Best of Dead Doctors Don’t Lie” CD with the purchase of Dr. Wallach’s book “Dead Doctors Don’t Lie”. To order go here. The message it contains has generated intense public interest in colloidal mineral supplementation. Unfortunately, few products on the market measure up to either the spirit or the intent of what Dr. Wallach advises. Some companies, for example, get their product from inappropriate sources, from ancient sea beds or clay deposits rather than directly from plants. Majestic Earth Minerals come directly from plant sources. Majestic Earth Minerals are not watered down. Majestic Earth Minerals boast the highest quantity as well as the highest quality of organic colloidal miners on the market. Majestic Earth Minerals are uniquely formulated to maximize bio-availability. Those Majestic Earth Mineral products which are sweetened are sweetened using only those natural fruit concentrates lowest in sugar. Majestic Earth Minerals are sold with a full 30 day satisfaction guarantee. Majestic Earth Minerals are subjected to rigorous quality control measures before they are ever allowed to reach the public. Majestic Earth Minerals are of such high quality Dr. Wallach, himself, has staked his own good name and reputation on them. Majestic Earth Minerals are dependably consistent in terms of nutrient profile and concentration. Majestic Earth Minerals ARE SIMPLY THE BEST CHOICE when it comes to organic colloidal mineral supplementation!